This card will be for my nephew's birthday. While I love making pretty cards I also love the challenge of making cards for they guys in my life too. Using stamps to add layers and depth to a project is an art I'm going to practice more. 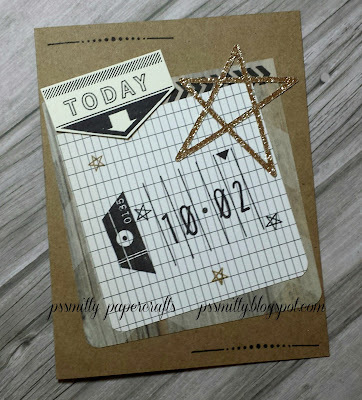 How perfectly you have used these papers and made a stunning guy card...with layers AND sparkle, too. Beautiful work. Thank you for joining the AHSC this week! Oh how fabulous!!!! I love your papers and that gold star! Thanks so much for joining us at Atlantic Hearts Sketch Challenge. Oh wow!! LOVE this... pretty awesome man card... thanks so much for playing along with Atlantic Hearts this week! Oh my goodness - I love this card! Such a great masculine card and I love the glittery star! Thanks so much for sharing with us at AHSC! 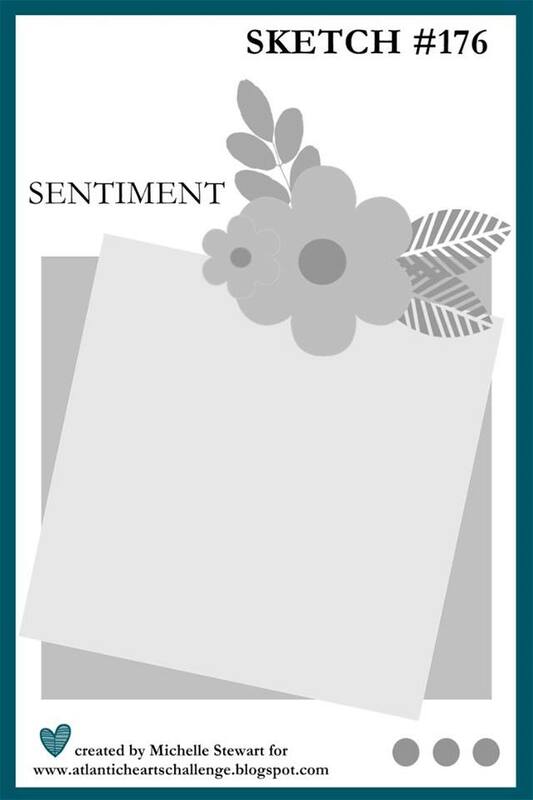 This is such a fabulous masculine card- I always struggle with these so thank you so much for the inspiration! Thanks for joining us at AHSC. OH WOW!!!! Great use of the Kraft CS as a background, love the stamping and the "business" look of adding the place marker/arrow. Great masculine card and use of neutral colors...and even a little glitter. Thanks for sharing at AHSC, and hope to see you on Friday for another great sketch challenge. I love how you put this card together! Fantastic! Love all the layers and the almost monochromatic feel of this card! It is a perfect guy card! Thanks for playing along at Atlantic Hearts Sketch Challenge! I love it! I struggle with masculine cards so it is great to see a great one like this! Thanks for playing along with Atlantic Hearts Sketch Challenge (AHSC)! Today is National Stamping Day!